Left photo by Allison Jones, right photo by Savannah Mills. To all appearances, Chevonne Ball leads a charmed life. 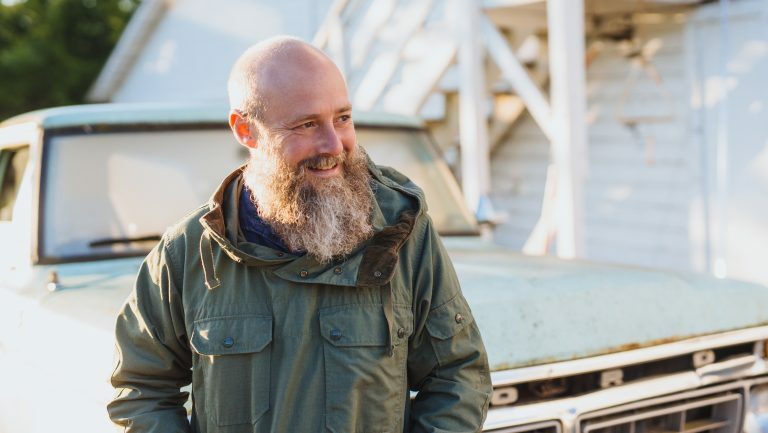 The elegant proprietor of the epicurean travel company Dirty Radish, Ball’s face is familiar to Portland foodies. 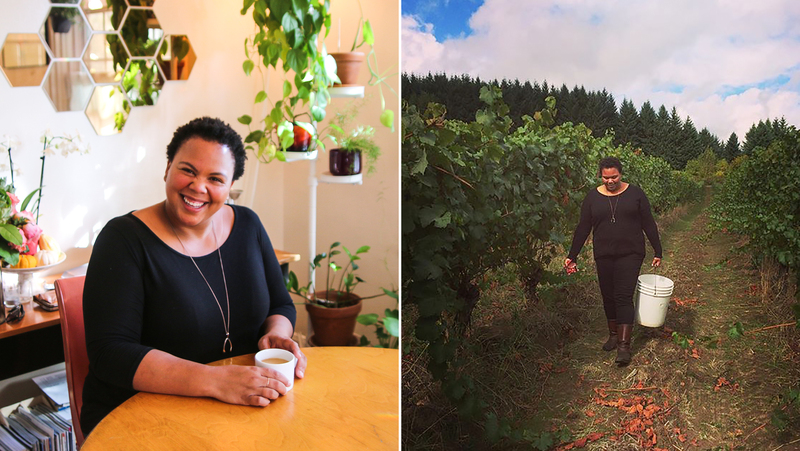 She has worked as a wine buyer, manager, and wine director for buzzed-about hotspots like Little Bird, Olympia Provisions, Park Kitchen, and the erstwhile Smallwares (now Wares). 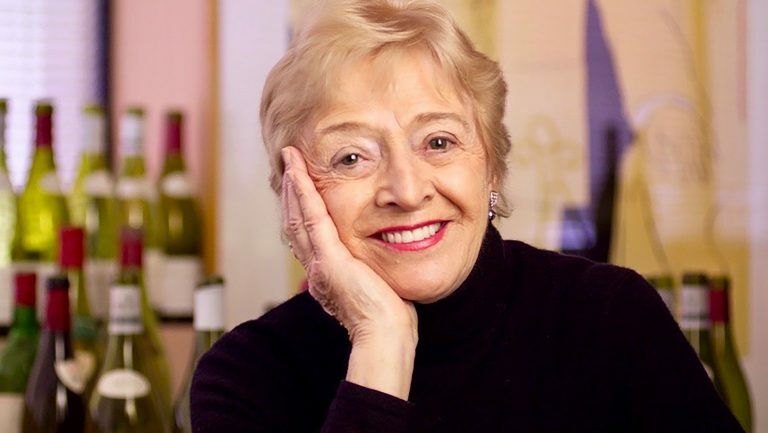 She hosts dinners and moonlights at boîtes like Tournant and The Nightwood Society, and in Portland’s culinary circles, her dinner parties and picnics are legendary. And yes, that’s her in that photo taken at a masquerade ball at the Palace of Versailles. Among Ball’s friends are French winery owners who invite her to fancy parties. So it’s surprising to hear Ball describe herself as coming from “very meager beginnings.” She grew up in Vancouver, Washington, one of three children of a single mother who worked in data entry and as a minister. Her first restaurant job, at the age of 15, was as a hostess at Denny’s. Nine years later, she was still working in the business, as a waiter on a paddle wheeler that traveled between Seattle and Juneau, on which she served “blush” wine. After talking her way into a fine-dining job at a Creole restaurant, Ball landed at Portland’s famed Le Pigeon in its heady earliest summer days of 2006. Swept up in the innovative scene, she soon began studying wine voraciously, tasting as often as she could, and working the floor seven nights a week while also attending college. 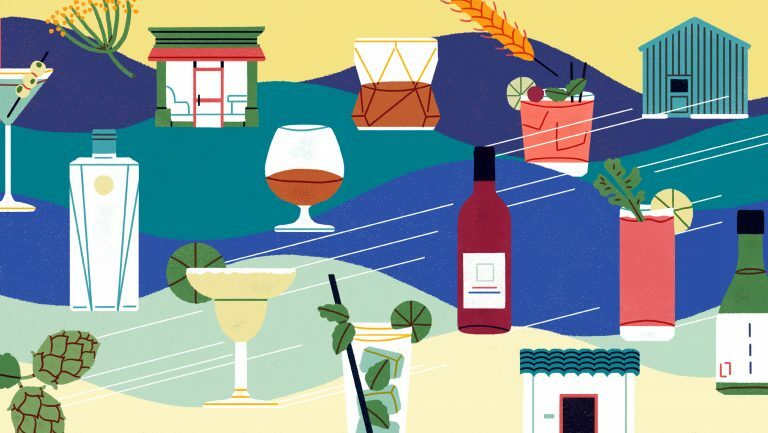 The energized atmosphere at the tiny, groundbreaking restaurant “was like a big party of inherently professionally minded people, totally committed to hospitality,” recalls Le Pigeon owner Andrew Fortgang, the former beverage director for the Craft restaurant group (now Crafted Hospitality). Fortgang remembers Ball being one of those “super-passionate” advocates, “open to all kinds of wine.” But despite Le Pigeon’s impressive lineup from Burgundy and the Rhône, it was humble Beaujolais—the wines that “were always a hand sell,” according to Fortgang—that Ball championed. Ever since Philip the Bold cast Gamay Noir à Jus Blanc out of Burgundy in 1395, excoriating the “evil and disloyal plant,” the variety has been struggling for recognition. There was—and still is—a misconception among American consumers that Gamay is capable only of making grape-Kool-Aid-like nouveau wines. And yet, tasting through the region’s crus, Ball found depth, elegance, complexity, and ageability. She felt as though she had stumbled on one of the wine world’s best-kept secrets. Ball escaped the relationship but sank into a deep depression. She spent two and a half months lying listlessly on her couch when she wasn’t at school or work. Within six months, she had reinvented her life. She was studying gastronomy at Université de Lyon and Université Catholique de Lyon and sharing a house in Lyon with five other women. She had a new Algerian boyfriend and a rich network of friends: chefs, farmers, and a butcher named Babette. And winemakers. “I had always felt like the underdog,” says Ball. “I didn’t grow up with a lot of money. I came from a single-parent home. I had left an abusive relationship.” In Lyon, those feelings faded away. “France was a saving grace for her,” says Allison Blythe, a longtime friend of Ball’s who is a business development manager with Ste. Michelle Wine Estates. Left photo by Savannah Mills, right photo by Cecile Barou. In France, Ball noticed, people didn’t look at her strangely when she spoke French or German; she didn’t find herself explaining that her mother was from Germany and her father was Creole. Her new friends didn’t do a double take when she geeked out about the history of gastronomy. After a year in France, Ball had to return home. But she couldn’t get Beaujolais out of her mind, missing the place as though it were a long-distance lover. 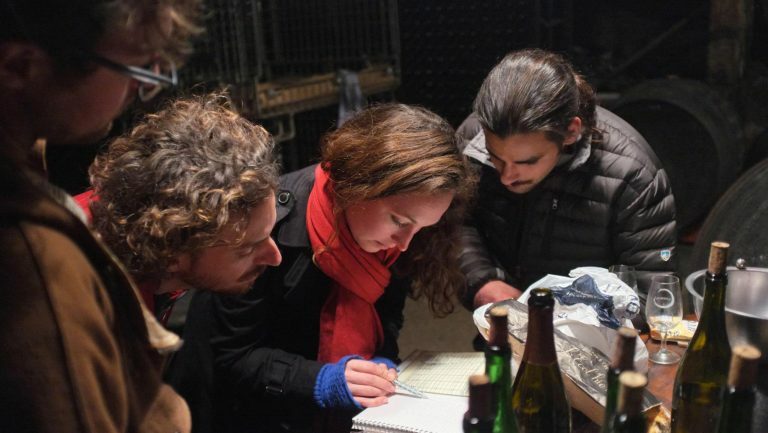 She returned to visit, then finally made up her mind and launched her travel company, Dirty Radish, on a shoestring budget—her network of winemaker friends in Beaujolais were happy to host tastings for her customers. Her four jobs in Portland—for Tournant, the winery Domaine Roy & Fils, and an investment management group, and as a pop-up event hostess and beverage doyenne—make it possible for her to reside part-time in Lyon. There, her Dirty Radish tour guests stay together in a 10-bedroom house like a big (admittedly pampered) family, just down the street from the home Ball lived in during her year there. 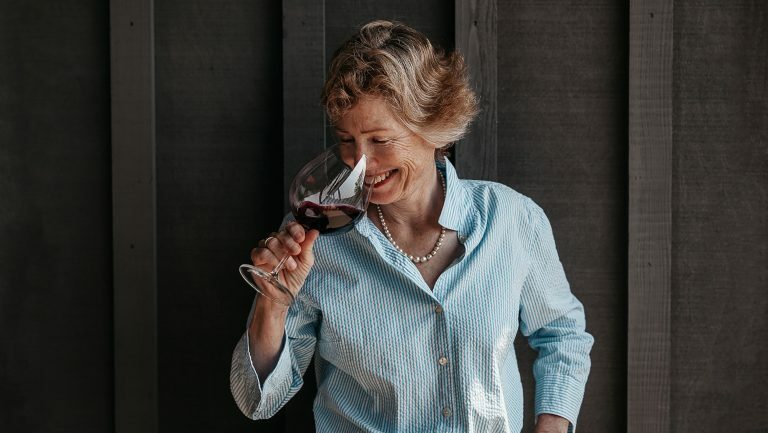 “I have created these genuine connections with winemakers and my French friends out of respect for their craft, the history, and the love that goes into the food and wine that I love to share with others,” she says. “We go play pétanque with my old-man friends, we ride bikes through the park, we go to the market and shop for dinner that a chef prepares for us at the house. 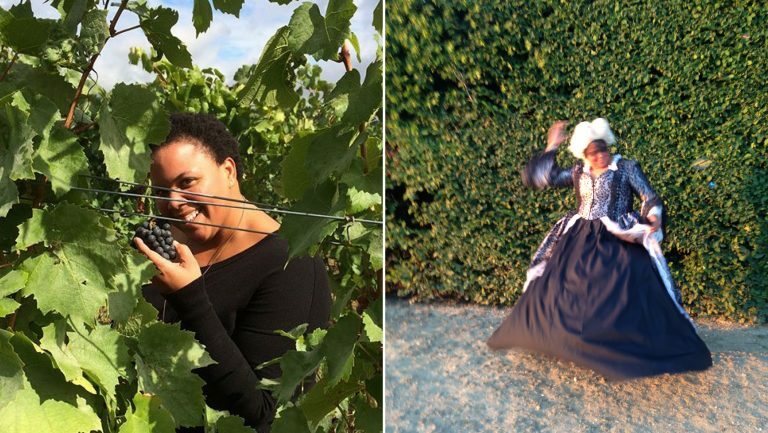 You can choose your own adventure every day.” And of course there are the vineyard visits and the Gamay: the underdog grape that has come into its own. Franck Besson Dentelle Méthode Traditionnelle Blanc de Noir ($19): A stunning bottle of sparkling wine, made from Gamay via the traditional Champenoise method. Everything is hand-riddled. The mousse is incredibly fine. Yohan Lardy Poppy Vin de France ($16): A very approachable bistro wine that should be served slightly chilled. It has great minerality, brightness, and cherry notes. The grapes are sourced from a small vineyard site (1.25 acres) in Moulin à Vent that is surrounded by poppies. Yohan’s father is Lucien Lardy, also a winemaker; it’s really cool to see what the younger generation is doing. Robert Perroud L’Enfer des Balloquets Brouilly ($16): The steep Balloquets hill, with its 40 percent gradient, is hell (l’enfer) for the vineyard crew, but the resulting wine is superb. The 2009 is drinking beautifully right now: It’s velvety, rich, and structured, with dark baked fruits and subtle spice. You can really taste the rich soil of Brouilly. Domaine de la Voûte des Crozes Côte de Brouilly ($21): The groundbreaking winemaker Nicole Chanrion is known as La Patronne de la Côte. She makes a delicious sparkling wine called Effervescence, and this Côte de Brouilly is superb—the 2003 is so lovely right now. It goes through whole-cluster carbonic maceration with spontaneous fermentation, then finishes and ages in foudres. Lo Triolet Vallée d’Aoste Gamay ($21): In the far northwestern corner of Italy, bordering France and Switzerland (hence the French spelling on the label), the Aosta Valley is an undiscovered gem of a winegrowing region. Lo Triolet’s vineyard, surrounded by the Alps, ranges from 2,000 to 3,000 feet of elevation, making for wines with great acidity. This Gamay has notes of violets and ripe red fruits, with structured tannins. Brick House Vineyards Due East Ribbon Ridge Gamay Noir ($31): Yes, this is a wine from Oregon’s Willamette Valley, specifically from the Ribbon Ridge subappellation. Winemaker Doug Tunnell bottled his planting of a single Gamay clone, #358, on its own for the first time in 2015, and sent the wine to France, where it won a gold medal. I have a beautiful mag of it in my house waiting for the right moment.